Barcode scanners are devices that are used to identify items using an 11-12 digit code usually represented by bars spaced with differing widths and thickness. The scanned images from the scanners are analyzed and information about the specific products is retrieved from the item databases. These scanners have become way too common in the modern world. It is almost obvious that we have all interacted with barcode scanners before. Think about the last time you checked in a supermarket. Do you recall the cashier swiping your shopping over some piece of “beeping” gadget that kept shooting some red light over your shopping while recording the price? That’s what I am talking about. Why should you use a barcode scanner? The answer to that is obvious: barcode scanners speed up the speed of processing voluminous data entry items (usually when selling or updating inventory) in large organizations. Barcode production software:these are software applications that are used to produce new barcodes. They are more relevant when one needs to generate barcodes and print them on tickets, labels or any such documents. The best examples of such applications include the B-Coder applications and the Bar Code ActiveX Control (the latter is often used by programmers). Barcode Data Collection Software applications:these applications only specify in acquisition of relevant data from scanning the barcodes from the scanners, stripe readers and getting it accessible to other computer application or into the database. A good example of such a software application is the RS232 that collects data with the aid of an RFID (Radio Frequency Identity) scanner. Database and Inventory Controlling Applications:these are a combination of the two aforementioned types of software applications. They are used to scan barcodes, store the relevant data scanned into databases, quickly retrieve them and help in inventory management. These are the most popular software applications. Sadly, there aren’t many “Vendor-Off-The-Shelf” applications that can perform these functionalities. Thus most of these applications are custom made e.g. the Android scan used in intricate canners like the Mobile Computer H6 2D scanner. Here we again get three major types of barcode scanner classifications that differ in their way of reading barcodes. Laser barcode scanners:these are the most popular type of scanners. They read the barcode images through shooting a ray of laser beam over the barcode image and reading the thickness and intensity of the reflected light rays. Laser barcode scanners are often cheap and some have a wide range of coverage (some extend up to 38 inches of coverage). Then again, they are often slow (when compared with other types of scanner) and sometimes may fail completely to scan some barcodes. They are often used in POS (Point of Sale) terminals. Linear barcode scanners:these are much like the laser scanners in their looks and to some extent they are similar even in their performance as well. Just like laser scanners, linear scanners too shoot a ray of laser beam over a barcode image. But unlike the laser scanners, these scanners first take an image of the barcode and then analyze the image as a whole while the laser scanners scanned image segments by shooting the beam regularly. This makes linear scanners faster than laser scanners. Their price range is just as much as the laser scanners though they differ in speed in accuracy. The 2D scanners:the 2D scanners are the market’s favorite scanners at the moment. Unlike the above types of scanners, these scanners are able to read barcode images from different orientations. This means you must not have the barcode placed in a portrait orientation as is the case with the two scanners mentioned above. The technology behind the working of the 2D scanners is borrowed from the linear scanners. 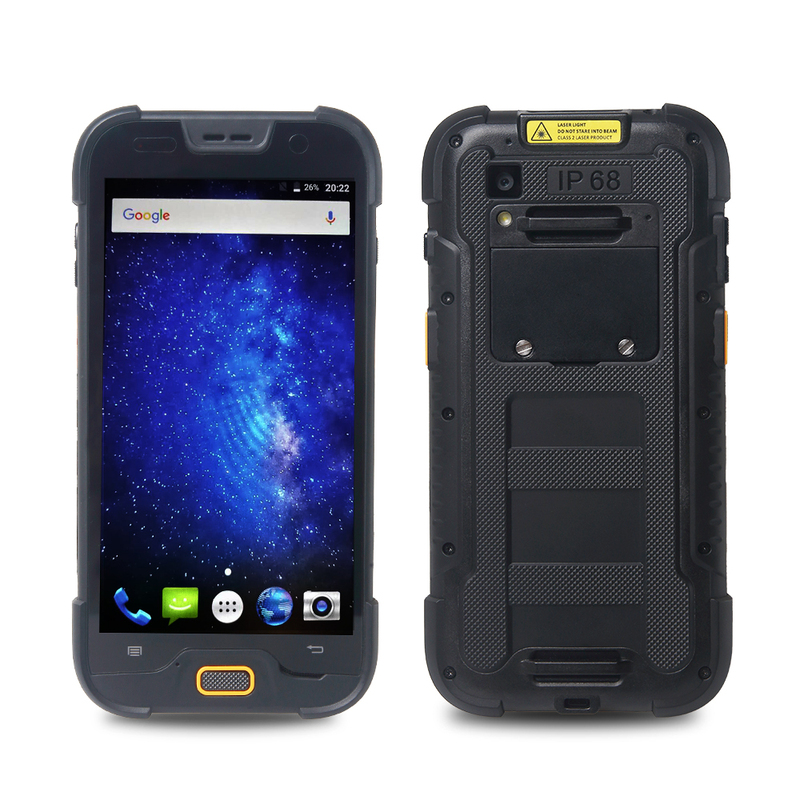 They too take images and analyze the images to deduce information about the barcodes as used in devices like the rugged mobile H6. They are very popular in airports. In this category, we will consider the method of data transmission between the barcode scanners and the processing device or computer. There are obviously two types of connections: wired/bounded and wireless/unbounded types of connections. Now, we all love it when it is wireless; that’s why the words Bluetooth and Wi-Fi have become the biggest selling keyword in today’s technology. Nobody loved the having to deal with cables over and over again when handling electronics like the scanners. However, though they all work very much the same, it is important to note that wireless barcode scanners always come with a bigger price tag when compared to the wired scanners. Besides that, there is no significant difference in performance. These types of scanners operate by being held on the palm when in use. They are very portable. Handheld scanners are good in registering new products into the store but they are not very good when used in POS terminals due to a high and regular entry or records. These types of scanners are somehow similar to handheld scanners in that both are highly portable. Presentation barcode scanners however are designed to be stationed on raised positions next to the POS. As their name suggests, they require you to “present” barcodes close to them and they will analyze them. Unlike the handheld scanners, presentation scanners have a wider field of coverage when compared to the handheld scanners. Mounted scanners are the most used types of barcode scanners in POS terminals. It is almost certain that you have interacted with mounted scanners either in the supermarket or by the grocery. They are often mounted on the counter and have a small heading with a mounted scanner and can be rotated easily to capture barcodes. They are more accurate and have a wider field of coverage than the two types of scanners discussed above. They are the most recent trend of barcode scanners in the market. These types of scanners are enabled with features of capturing, processing and either storing or transmitting information acquired from the barcodes. Most of these devices use wireless transmission. The best example of mobile devices for barcode scanning is the Mobile Computer H6 2D barcode scanner. What type of barcodes will I use?Using the information given above, you might need to be very specific if you will need the normal barcodes or 2D barcodes. 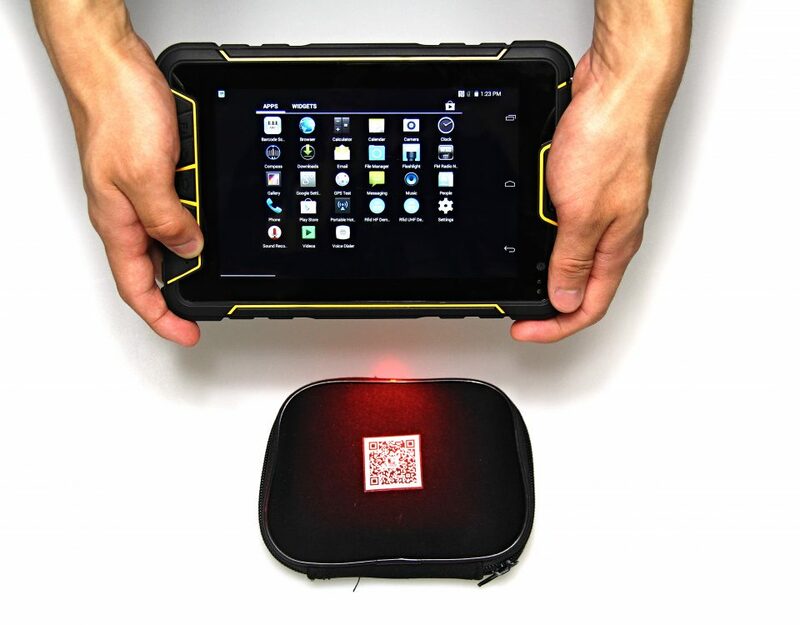 How often will I use the barcode scanner?If you are not likely to use the scanner frequently, then you might just buy any cheap scanner, however, if you are likely to use it regularly, then you had better think of having a rugged scanner like the H6 mobile. Is durability an issue?As addressed before, frequency and necessity of use will dictate the degree of durability one will opt to have in a scanner. 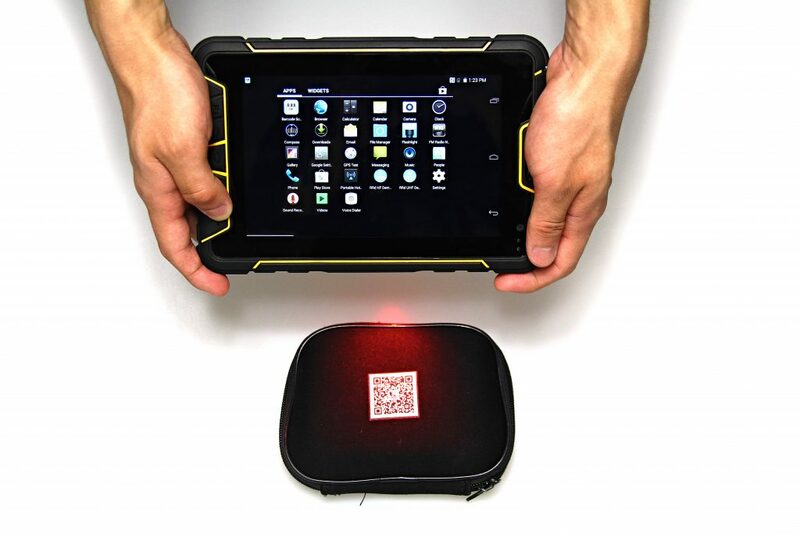 Often, rugged barcode scanners seem to have a relatively high price-tag when contrasted to the regular scanners. But, there is a tradeoff in durability of the rugged scanners that may make you wish to have the rugged scanners although they are expensive. You don’t want to keep replacing the scanner now and again, over and over again, do you? Rugged devices are tested to survive extremely harsh physical treatment, adverse temperature changes and even cases of use in watery environments.